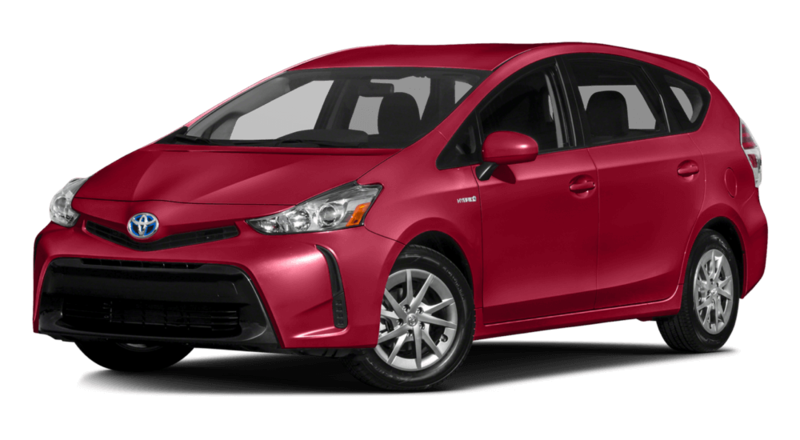 The versatile 2017 Toyota Prius v is designed to easily fit into the busy lives of drivers around Los Angeles. 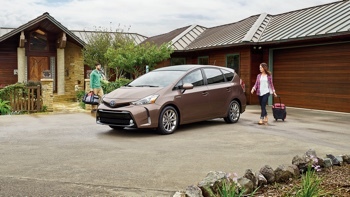 With SUV-like storage packed into a convenient wagon-sized vehicle, the Prius v is the economic, ecologic, and convenient choice. 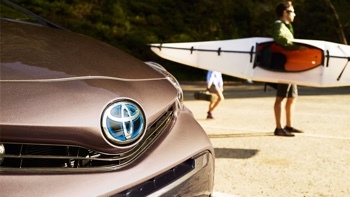 Featuring unbridled comfort, cutting-edge technology, and convenient amenities, the Prius v houses the trusted Toyota hybrid engine, which helps you go the distance. Whether you’re traveling from Santa Ana, Manhattan Beach, or into the heart of Culver City, the 2017 Prius v will easily take you there in one fell swoop. What can drivers expect from the new Prius v? First, the trusted hybrid engine. 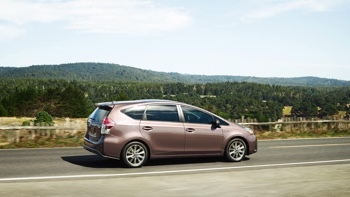 With a 1.8L ECVT engine and 134 hp, the Prius v gets you where you need to go efficiently, each and every time. 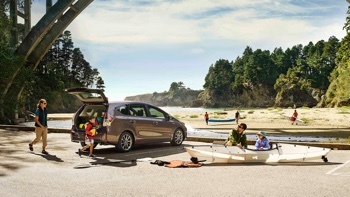 Additionally, the Prius v has space to spare — this allows drivers to stow groceries, sporting equipment, or seat passengers comfortably for a night out on the town. 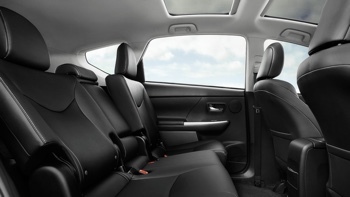 A spacious interior greets anyone who takes a drive, and provides comfort and convenience through features like SofTex-trimmed seats, Entune App Suite, and sliding and reclining rear seats. As mentioned, the 2017 Prius v sports its legendary hybrid engine. With a 1.8L 4-cylinder engine and an Electronically controlled Continuously Variable Transmission (ECVT), you can take comfort in the fact that you’re driving quite the ecological vehicle. Along with the 4-cylinder gasoline engine, the Prius v hosts two electronic motors and a battery pack. Add all this up, and you’re given 134 hp to help you travel wherever you need to be. And, of course, there’s no need to worry about filling up. The 2017 Toyota Prius v Two offers an impressive 43 mpg city and 39 mpg highway. * Who says you can’t have it all? Additionally, our customers can choose from nine exterior color options and two interior color options. In addition to these amenities, you can also expect an impressive amount of cargo space. With multiple storage compartments — including a double-stacked glove compartment and large center console bin — the 2017 Prius v gives you up to 67.3 cubic feet of cargo space when the 60/40-split-rear seats are folded. 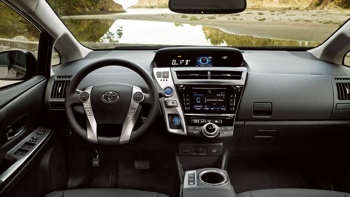 With available integrated navigation, Entune App Suite, and Premium JBL Audio, the Prius v keeps you comfortable and connected. Bluetooth handsfree phone and audio connectivity allows you to keep your eyes on the road as you chat with friends or pump up the music. The Prius v lets you control your fuel-consumption by customizing the driving experience through three different settings. Engage EV Mode to allow the battery to run up to one-half mile. Enable ECO Mode to maximize fuel economy. Use POWER Mode for enhanced acceleration when needed. What more could you ask for from a vehicle that gives you everything? Yes, in addition to the incredible features provided by the 2017 Prius v, it is also tremendously safe. The 2016 model is a trusted 2016 IIHS Top Safety Pick+ vehicle, and we expect the 2017 Prius v to follow in its footsteps. With a rearview camera, stability and traction control, and seven airbags, drivers can feel at ease in this hybrid. At Marina del Rey Toyota, our customers can expect an unrivaled selection to suit their needs. If you’re eager to take a ride in the new 2017 Toyota Prius v, contact one of our trusted sales representatives, browse our extensive selection, and stop by our dealership at 4636 Lincoln Blvd in Marina del Rey, CA. * 2017 EPA-estimated 43 city/39 highway/41 combined mpg for Prius v. Actual mileage will vary.